Productivity is essential in an office environment. The space you create for your employees will either support or hinder productivity. One way of ensuring a productive workspace is by keeping the environment clean and hygienic. 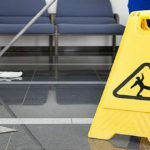 There is nothing worse than showing up to work in an office that is dirty or, even worse, becoming ill because the office doesn’t offer a high-level of sanitary care. As a business manager or owner it is your responsibility to see to it that the office is a pleasant and hygienic environment for your staff. You and your staff are easily spending close to 200 hours a month in the office. Spending such a substantial amount of time in an environment that makes you sick or that is dirty will demotivate the most dedicated employee and hinder them from working to the best of their abilities. Besides making your staff feel positive about the work environment, having a clean office will also prevent the spread of illnesses, reduce staff absenteeism and reflect a positive image to any visiting clients. Employing contract corporate cleaning services will go a long way to protect your staff from germs and support a positive office environment. A clean environment can improve and support your employees’ wellbeing and reduce work-related stress and anxiety. People who work in happy, hygienically clean offices make for productive staff. People who are often sick and suffer from allergies which are aggravated by dusty, mouldy environments will be less than productive which will directly affect your business operations. Keeping your office hygienically clean means that you need to use the correct products and equipment for different areas in the office and then maintain that level of cleanliness. Corporate cleaning services are always equipped with the very best in cleaning products and equipment which will result in an optimum clean. They are also practised in office cleaning, which means that no area will go amiss. For instance, if your ceiling is gathering dust and grime (i.e. air diffusers), then your ceiling will be thoroughly cleaned (this is often an area that is never considered in regular cleaning). Furthermore, by using corporate cleaning services you are assured that the level of cleanliness is constantly maintained. Corporate cleaning services will also help to maintain a professional and positive company image. A dirty office can tarnish your company’s reputation. Visiting clients or prospective employees will judge the business based on the office environment first, before any engagement with the staff or management even takes place. First impressions last and you cannot make a first impression again. Clients may be particularly judgemental of your workspace as they are either currently giving you their money or about to. A dirty office could see them taking their money elsewhere. To find out more about corporate cleaning services please have a browse through our free eBook: Contract Cleaning and your Business. In this eBook below we unpack the ins and outs of contract cleaning and how the corporate environment benefits from this service, as well as touch on health and safety regulations and bust some common myths.